Midnight at the Electric interweaves three different generations of protagonists to tell the heartbreaking and simultaneously hopeful stories of young women living through times of societal upheaval. The stories are linked together by the conventional – diaries and letters found in an old house – and the unconventional – an ancient turtle called Galapagos. They center around Adri, an ambitious teen who’s been selected to help colonize Mars in the year 2065. In order to be near to the space training center, Adri moves in with the distant cousin who still lives on the family homestead in Kansas with Galapagos, who has been passed down from homeowner to homeowner. The two women don’t know each other – Adri was orphaned as a youngster and had never even known of Lily’s existence. Between losing her parents and her impending move off-planet, Adri is reluctant to allow Lily to grow close to her. Instead, Adri immerses herself in a stack of diaries and postcards that she found hidden in her room. The diarist, Catherine, writes during the Dust Bowl of the 1930s, a setting which provides an interesting parallel to Adri’s climate-changed world. Years of poor farming practices damaged the Kansas prairie, until the land could no longer retain the top soil. When strong winds sweep through the midwest, so much dirt enters the air that it pollutes the sky as far as New York. Inevitably, the dust particles also settle in people’s lungs. Catherine’s younger sister, Beezie, develops an ominous cough. Catherine tries to convince her mother to leave their home and migrate to the coast. But the influx of migrants is so steady that some states are passing laws against the “Okies” and Catherine’s mother doesn’t want to risk traveling to places unknown where she might be met with hostility. Catherine suspects that her mother doesn’t want to leave the place where she has so much history, nor does she want to leave Galapagos behind. Catherine will have to make the choice herself if she wants to save her sister’s life. Linking Catherine and Adri are the postcards that they both find in the house, written by a British girl named Lenore in 1919. Lenore and Catherine’s mother, Beth, are childhood friends who maintain a correspondence after Beth moves to America. 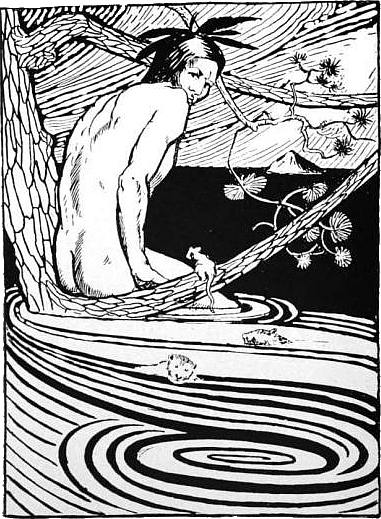 When Lenore’s brother dies in World War I, she’s at loose ends. With Beth so far away, Lenore has no one to confide in – until she meets James, a boy her own age who is living in an abandoned house on Catherine’s family’s land. James suffered losses in the War as well, and the two teens develop a bond rooted in grief and longing. Lenore, the daughter of an industrial tycoon, struggles with her grief over her brother’s death and her position in the changing British social structure. She longs for her friend in America and plans a journey to visit Beth, perhaps with a few stops along the way, including the Galapagos Islands. As Adri’s departure date nears, the letters and diaries provide a way for her to open up to her cousin, Lily. The parallels between the other women’s journeys and her own allow her to consider grief and hope side by side, and to make peace with the bittersweet feelings that arise when one is standing on the cusp of change. Adri’s own fears are put into context so that she can have the strength to carry the hopes of humanity forward for future generations. 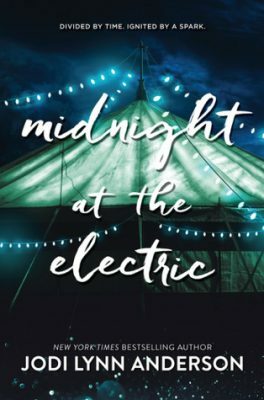 Midnight at the Electric is masterfully told, especially considering that the author wove three distinct stories together into a relatively short novel. Although it’s a quiet book, which centers more on character growth and themes, the plot is strong enough to propel the story forward to a conclusion satisfying enough to launch Adri into her journey to Mars. With luck, Galapagos will one day join her. 5 of 5 stars.